If you think pearls are staid, conjuring images of white pearl studs or a classic rope, we hope to surprise and delight you with by our pick of modern pearl jewellery from 7 contemporary jewellery designers. We also explore the resurgence of pearls in recent years, thanks to innovation from some of the masters of jewellery design. Our selection from these modern interpretations of pearlwork isn't just to show you how modern pearl jewellery can use traditional pearls in new ways. 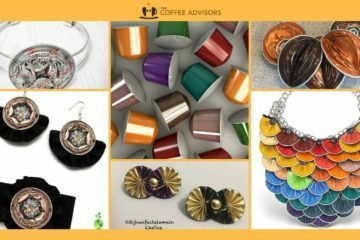 It's also about the way contemporary jewellery design embraces uncommon forms of pearl you may not be familiar with, such as Chocolate and Keshi pearls. 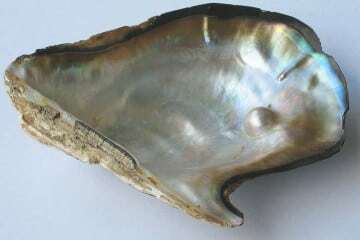 Till the end of the 19th century, natural pearls made by molluscs in response to some irritant were primarily the gemstone of monarchy and very wealthy women around the world. Kochiko Mikimoto created the end of this monopoly by creating cultured round pearls at the turn of the 20th century. 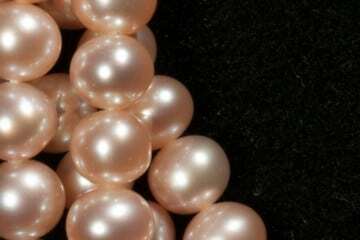 Known as Akoya pearls, these laid the foundation to making this beautiful gemstone more widely available. 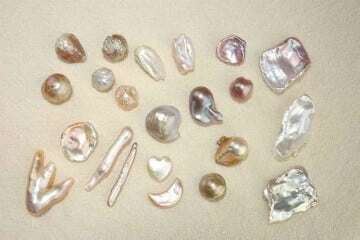 Today almost all pearls are cultured and grown over several years, through skilled collaboration of people with molluscs. The classic, most widely recognised style was the rope necklace paired with pearls set as stud earrings. Style icons like Coco Chanel, Grace Kelly and Jackie Kennedy ensured pearl classics remained desired. 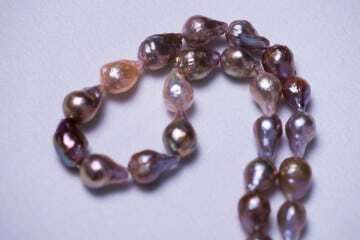 Coco Chanel believed "A woman needs ropes and ropes of pearls"
However, even pearls were not completely immune to fad and fashion, and by the 1990’s pearls were seen as passé by some. 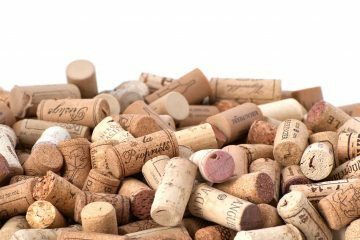 Many younger women associated them with their mother or even grandmother’s era. Then a few years ago, there was a renaissance of the pearl in a modern avatar through development of new forms of pearl. 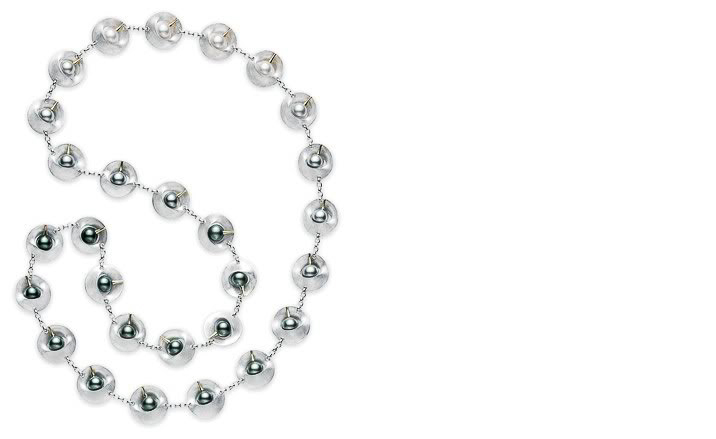 The world was introduced to intriguing new types such as baroque and fireball pearls. 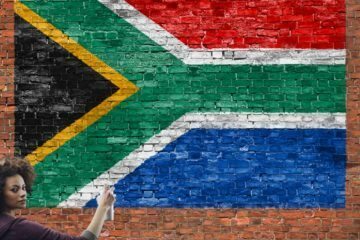 They were also created in a variety of interesting shapes including squares, circles and even hearts. There was also a rediscovery of some of the more interesting alternatives to classic white pearls. The beautiful black and green-grey Tahitian pearls, or the lustrous golden South Sea pearls became a refreshing change to stereotype images of pearls that fashion had started to slightly tire of. 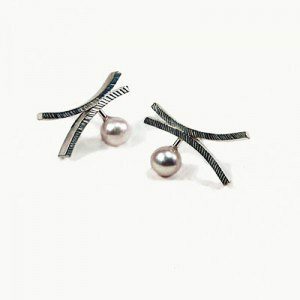 And so contemporary jewellery designers set to work, exploring fresh new modern pearl jewellery designs, equipped with an array of shapes and colours that were previously unavailable or uncommon. This was not just the domain of contemporary jewellery designers - the classic design houses also made their mark on modern pearl jewellery, with much greater influence than their less reputed competitors. For example, Dior’s famous double pearl earrings were an enormous hit with celebrities and women around the world. This distinctive look is still very popular with women today. However, as Mikimoto created cultured pearls, we believe they earned the right to claim credit for the birth of modern pearl jewellery, with beautiful new pearl designs aimed at 21st century women. 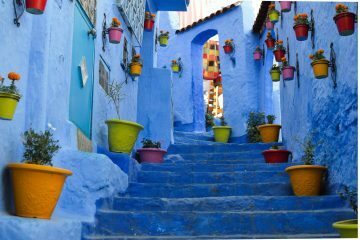 A lady might wish to keep around her neck as a souvenir the forms and colors trailing in the wake of a boat in stormy weather. 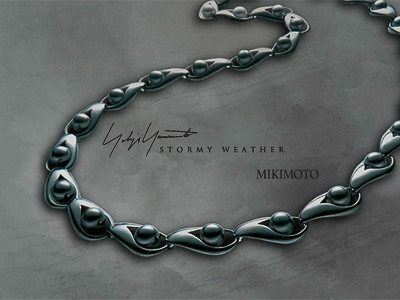 We've selected 3 Stormy Weather designs, Drops, Moon and Le Cri. 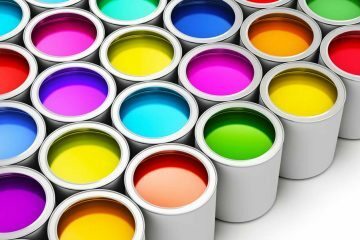 Guess which is inspired by Edvard Munch's painting The Scream? 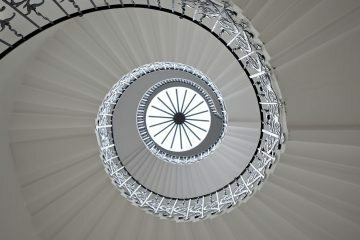 Adam Neeley is an award winning American Designer whose work is displayed in the Smithsonian. 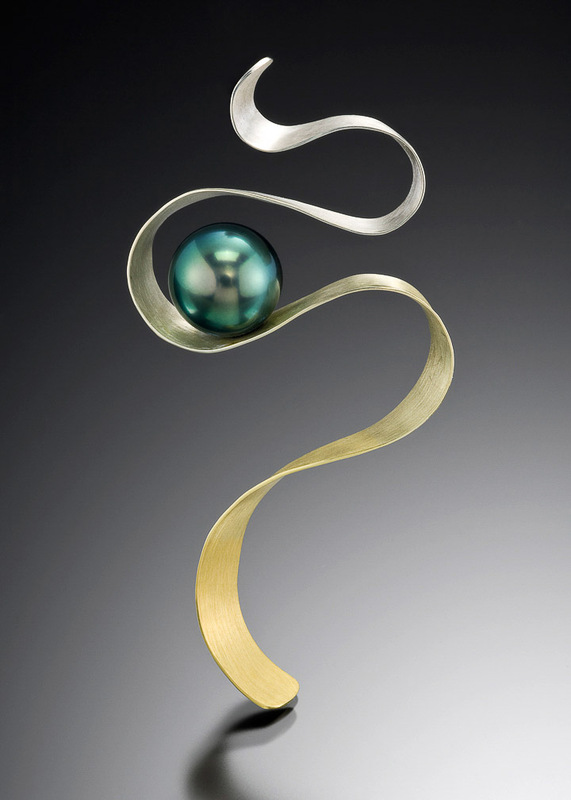 This stunning piece of modern pearl jewellery called Captivate has a beautiful Tahitian pearl with peacock overtones set in Spectra gold. His signature fabrication technique yields a seamless gradient, ranging from warm yellow to cool white gold. Chocolate Pearls are very unusual cultured Tahitian pearls that come in this luxurious natural chocolate brown colour. 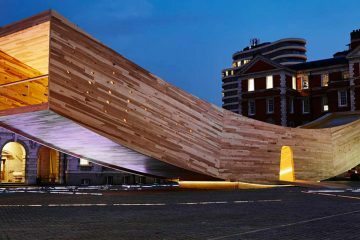 We're always on the lookout for contemporary jewellery designers who can do justice to this rare, distinctive form of gem. We selected this stunning ring by Ivan Sagel. Ivan is a fine jewellery designer with a background in mechanical engineering who has studied at many of the finest metal arts schools and with innovative master jewellers in the U.S.
Jewelmer are contemporary jewellery designers who specialise in creating modern pearl jewellery with fine South Sea Pearls. They have their own Pearl Farms in the clear waters around the Philippines. This beautiful piece is part of the Sarimanok collection. Sarimanok is a mythical bird in the Philippines. 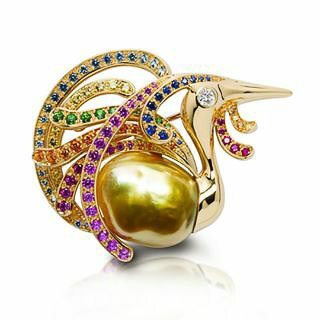 This piece from Jewelmer pays homage to the bird with gemstone studded body surrounding a beautiful golden gem. 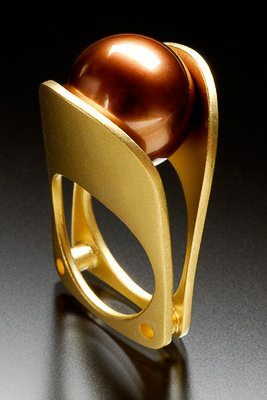 Michael Berger is an innovative German designer who creates rings with movement, called Kinetic rings. Yes, the individual elements on top of the ring can rotate, turn or swing! This collection of rings is inspired by the kinetic energy of the body. 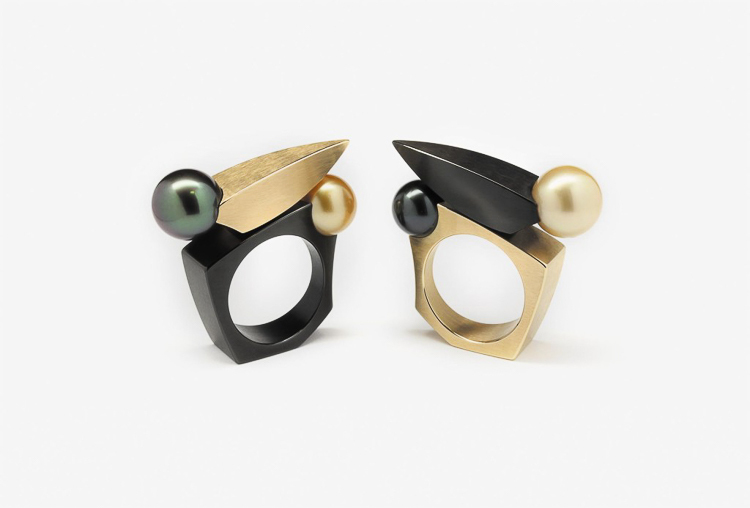 We’ve selected his South Sea and Tahitian Pearl rings because they are intriguing, playful and stunning. If you click on the image, it should open up a video showing how the rings move. Helen Swan is a Scottish Jewellery Designer who works with a variety of materials. We loved the texture of the silver on these earrings and the unique design. Lucy Quartermaine is a young British Designer who creates a wonderful collection of sterling silver based jewellery. Her gold vermeil Pearl Hug earrings with Swarovski crystals caught our eye. It’s different and dressy. The Iris bracelet is from our sister business, Zayah Jewellery. These are Keshi pearls, also known as "free-form" pearls because of their shape. 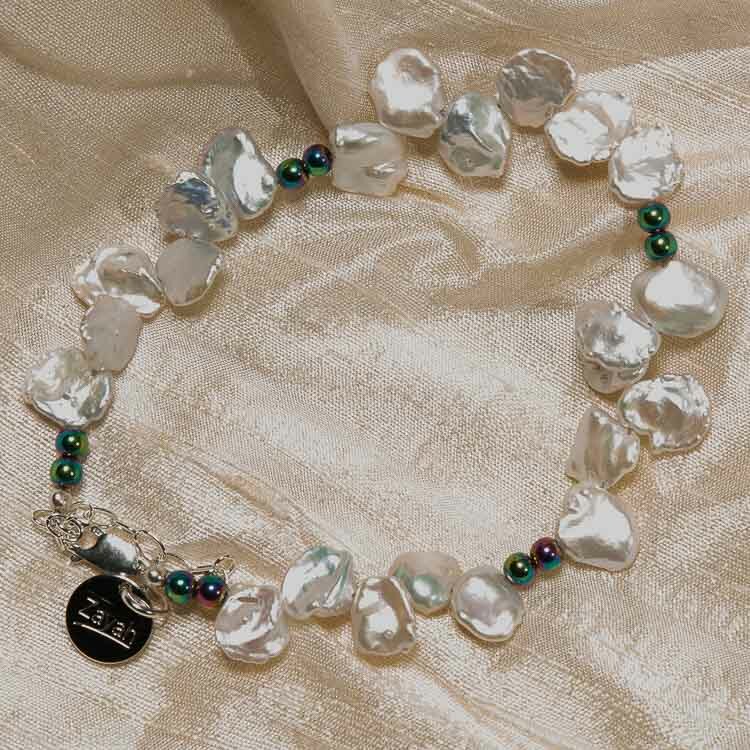 We selected this one because we love how the rainbow haematite complements the rainbow overtones on the pearls. Pearls are known as the “Queen of Gems and the Gem of Queens” for good reason, coveted by women around the world for thousands of years. Modern jewellery designers have added to the timeless classics favoured by everyone from Cleopatra to Coco Chanel. 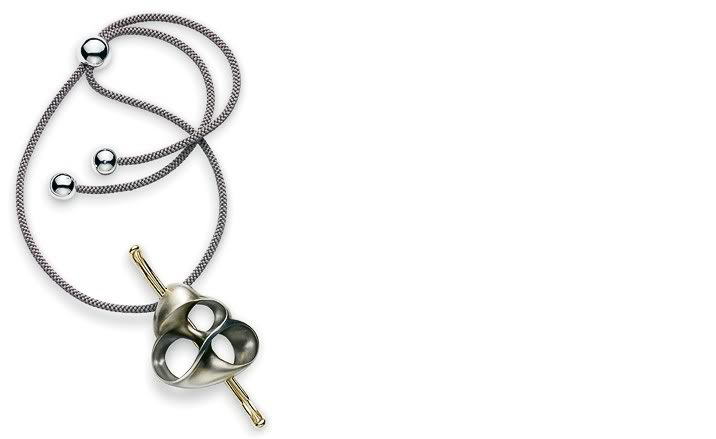 With innovation in both the gems as well as how they are set, today's designers continue to invent poetic new pieces. Pearl jewellery is here to stay, and we're very happy with that.